Cleartex is the brand name for transparent, clear floor protection mats in Original Floortex Polycarbonate. Cleartex mats will allow the beauty of your natural wood floors to shine through, and will protect your carpeted areas from wear and tear. Flooring can be expensive - in those areas where there is heavy foot traffic, chair movement or risk of spillage, a relatively small investment in a high quality Cleartex mat will help protect your carpet, wood or laminated hard floors from damage, reduce cleaning costs and increasing their lifespan. Cleartex mats are versatile, easy to move and clean, making them perfect for a wide variety of uses. They are ideal for all areas of the office and home. A wide range of shapes provide floor saving solutions for desk areas, reception areas, high foot traffic hallways, waste bin areas and a great deal more. 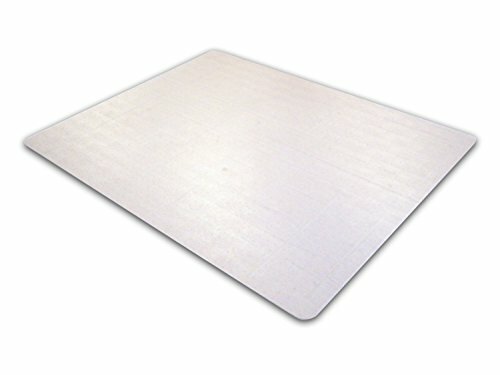 Polycarbonate mats are extremely durable, made from non-toxic materials that are 100% recyclable. These mats are fire-resistant, odorless and easy to clean. Guaranteed not to crack, curl or yellow! Combined with the mat's durability and appearance, this makes a Cleartex mat a flexible and long-lasting floor protection solution.